Are you having guests for the week? It might be a family who needs more than just a guest room. Why not use the RV or camper? A house on wheels with plenty of room, an RV is a piece of classic “Americana” culture at its finest. But wait, what about the black and gray tanks, who’s going to dump those? If you have a septic tank, you might have a solution to this dilemma. Is it possible to dump your RV tanks into your septic tank? Let’s find out. 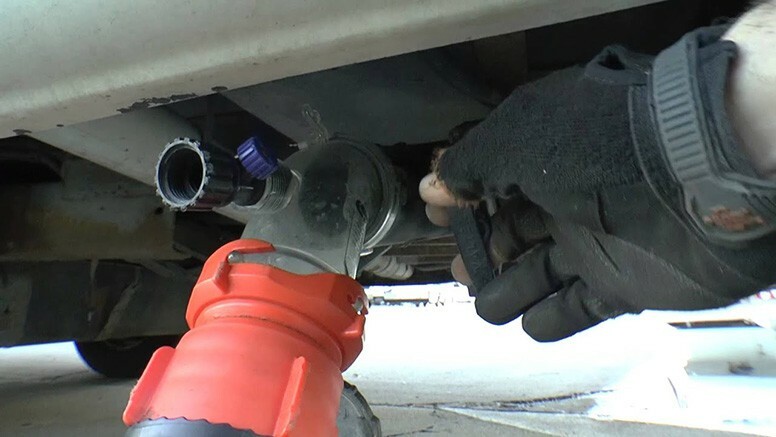 In a camper or RV, chemicals are often used to help deodorize the area and also further break down some of the solids and paper. However, some of these chemicals are toxic and can be destructive to the natural balance of bacteria living in a septic tank. There are anaerobic and aerobic organisms. The aerobic require a certain amount of oxygen, while the anaerobic does not. When certain toxins are used, the good bacteria may die off which can lead to blockage, backflow and even flooding of the drain field. Furthermore, the chemicals can contaminate the soil, ground water, and even surface water. When this happens, cleanup is costly and potentially devastating for life underground. Therefore, it’s important to be aware of what goes into your septic tank. Why Can I Dump It At The Campground Then? Campgrounds or dumping sites have their own way of disposing the waste without dangers of contamination. Remember to read up on the regulations the individual dump sites or campgrounds have before dumping your tanks. 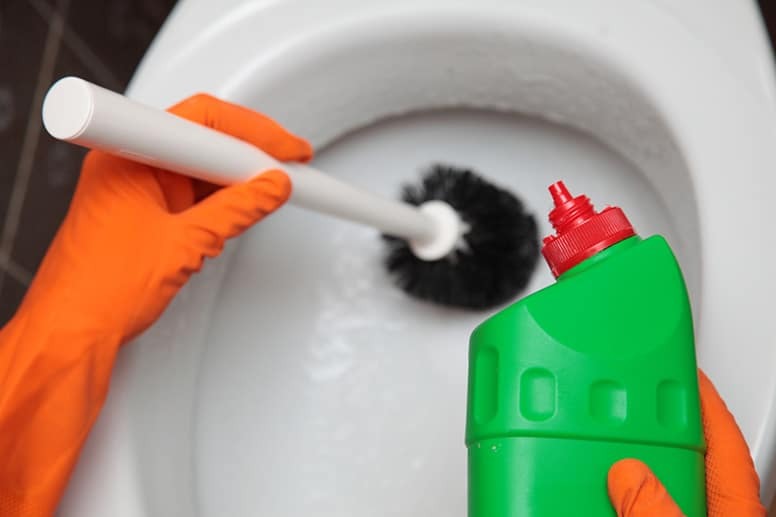 Avoid flushing any toxic chemicals if at all possible, including gasoline, pesticides and more. What you should do is make sure to dump the tanks before returning home from camping trips or other adventures. That way you know the waste is in good hands. Water pooling around the system or in your basement. There’s a strong odor around the tank and in the drain field. Spongy, bright green grass in the drain field area. Waste water is coming back up the drains. On a septic tank, there should be two cleanout outlets. These are PVC pipes with a cap. The one you want is the pretreatment outlet, this usually is closest to the house. If you’re not sure, ask a professional. The waste should be deposited here, not into the other tank. Dumping waste into the wrong tank could cause a major blockage, and things might get real ugly. At the cleanout pipe, you can either dump your tanks or hook them up using a sewer hose. The hose should be attached correctly, otherwise, it could fly off and create a huge, and obviously stinky, mess. 3. What If There’s No Cleanout? Use the access port. But, if you have to use this, take great care. This port opens up straight into the tank — the gases here can be lethal. Keep in mind that you don’t want to leave the RV hooked up to the access port for longer than necessary. 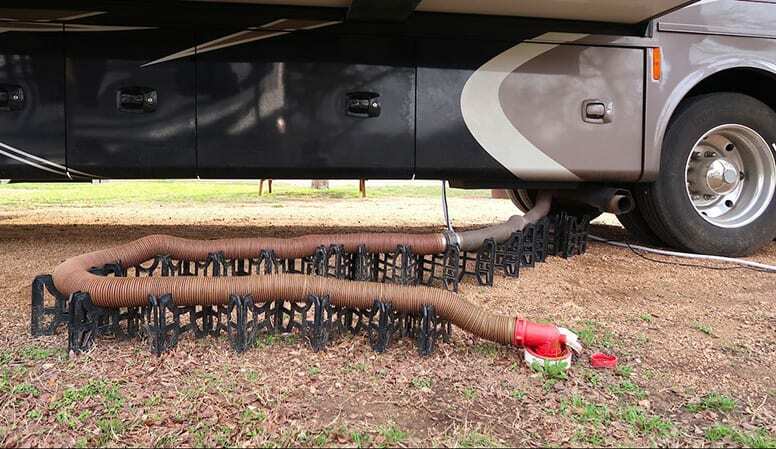 While some people report having no problems leaving the RV attached to the septic system, it can create an overload. This could cause the scum and sludge to overflow and run into the drain field pipes, which we don’t want. Now we know that it is possible to dump your RV tanks into your septic tank. However, the right precautions have to be taken. Never dump large amounts in one go. Take extra care when using an access port. Feel free to leave a comment in the section below if you have any questions or concerns.